After almost a century of continuous expansion, the rate of home ownership in Britain has fallen from 70 per cent of households in 2000 to fewer than 65 per cent today. Among the under-forties it has dipped alarmingly. 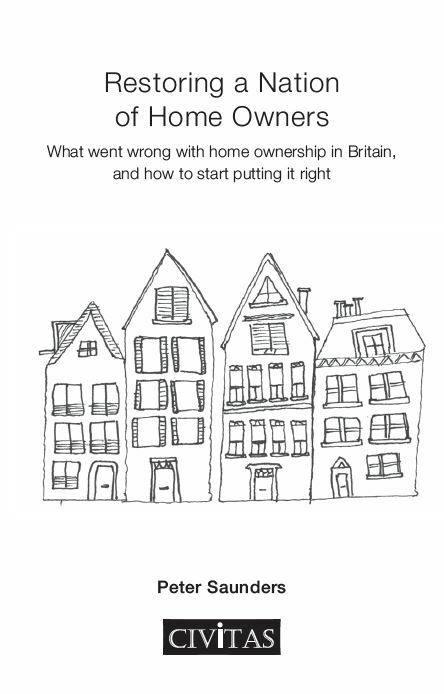 This book asks what has caused this decline in home ownership, why it matters, and what might be done to reverse it. The spread of home ownership in the twentieth century has distributed ownership of wealth more widely than ever before. It has also strengthened ties of community and rates of civic participation. Mass owner-occupation has in these ways benefited individuals and the wider society. The decline of home ownership since 2000 does not reflect any significant change in people’s housing preferences. Surveys find that the great majority of people in all age groups would still prefer to own, but increasing numbers can no longer afford to buy. Many under-forties, in particular, have been shut out of home ownership by rising prices and the demand for huge deposits on housing loans. House prices in Britain have been rising faster than the general rate of inflation for more than 50 years, and this has created significant capital gains for several generations of owners. But until the late 1990s, these gains did not come at the expense of new generations of buyers because average house prices and average earnings increased at similar rates. So although the price of houses rose relative to other commodity prices, the cost of housing remained constant relative to what people were earning. Existing owners made gains, but houses remained no more expensive for new generations to buy than they had been for their parents. This link between average house prices and average earnings has now been broken. There have been four big house price booms in Britain since 1970. In the first three (1971-73, 1977-79 and 1987-89) house prices soon fell back into line with earnings. But in the fourth boom, which began in the late nineties, this never happened. Between 2000 and 2014, average earnings rose by 51 per cent, but average house prices rose by 132 per cent. The result is that the younger generation is now expected to pay a much bigger multiple of its earnings to buy a home than its parents did – something that never happened previously. The baby boomers are now making capital gains at the expense of their children. Some young people can still afford to pay these much higher prices because interest rates have been at historically low levels since the 2008 global financial crisis. But new buyers are taking out huge loans to purchase property which is 20 or 30 per cent over value. With inflation so low, these loans will take many years to clear and will become crippling if and when interest rates return to normal levels. Meanwhile, new lending rules since 2008 require huge deposits which few borrowers can provide without assistance from family, the government, or both. Many experts believe that this unprecedented and deeply damaging ‘fourth house price boom’ has been caused mainly by our failure to build enough houses. They blame this on land hoarding by developers, greedy landowners, and conservative planning authorities which respond to pressure from local residents by refusing development permits. There are, however, strong reasons for arguing that restricted supply was not the key cause of this crisis of housing affordability, and that even if we increased construction as many have urged, the impact on house prices would be small. Over the last 40 years, housing supply has increased faster than the growth in the number of households, so scarcity is no worse now than it was in the 1970s. Fluctuations in housing supply have not been reflected in changes in price levels and countries like Ireland, which built many new homes, suffered worse house price inflation than Britain did. Economic modelling commissioned by the government predicts that even if we expanded the current rate of building by 50 per cent per year for the next 15 years, real house prices would hardly fall at all. The main causes of our problem have been on the demand side. The failure to control the explosion of credit from the late 1990s onwards grossly inflated house prices, and the historically low cost of credit since 2008 has kept them inflated and prevented the price correction which is necessary to restore the link with earnings (as occurred in the three previous house price booms). The growth of buy-to-let has further fuelled demand, and this has been reinforced by an influx of foreign money into the luxury London market, the strong growth in immigrant numbers, and an increase in the number of parents’ drawing down their own housing equity to help their children buy. Recent government attempts to resolve the affordability problem by subsidising buyers have only thrown fuel on the flames. Help to Buy equity loans and mortgage guarantees have almost certainly pushed prices even higher, and new pension freedoms have channelled more new money into housing. Demand-side subsidies should be wound up as the first step to restoring affordability. Two other key proposals are advanced. The first is that the Bank of England should be given a statutory duty to regulate mortgage lending to keep the ratio of average house prices to average earnings within a specified range over the medium term. We must never again allow a house price boom to get out of control and go uncorrected as has happened since the late 1990s. 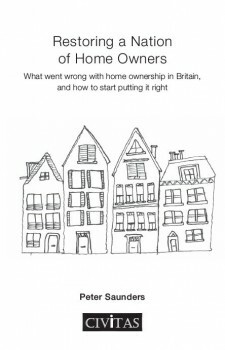 Secondly, in order to rectify the existing generational inequality in access to home ownership, the Right to Buy (RTB), which is currently enjoyed by tenants in the social rented sector, should be extended to tenants of landlords in the private sector with discounts capped to prevent landlords incurring losses. This RTB should not apply to properties less than 25 years old, landlords should be partially compensated by capital gains tax concessions when they sell, and the standard duration of tenancies in the private sector should be extended to five years. Peter Saunders was an academic in Britain before spending 10 years in Australian think tanks. He is now back in Britain and semi-retired. He is a Professorial Research Fellow at Civitas, a Professor Emeritus at the University of Sussex, and a Distinguished Fellow of the Centre for Independent Studies in Sydney. His previous Civitas publications include Social Mobility Myths (2010), The Rise of the Equalities Industry (2011) and Beyond Beveridge (2013). His work over the years has focused on welfare reform, social mobility, income inequality and poverty, as well as housing and home ownership. In this new book, he returns to issues of fairness and affordability he first addressed in A Nation of Home Owners, published back in 1990.